Dalam rangka memenuhi kebutuhan alat lab industri kami menjual Hand Refractometer Glycol, coolant refractometer, battery refractometer, Refraktometer Polyethylene Glycol (Refraktometer Alat Laboratorium Industri). 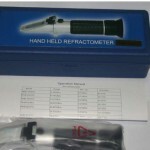 Ketersediaan alat hand refractometer Glycol sangat dibutuhkan, terutama bagi industri yang menggunakan bahan Polietilen (polyethylene Glycol) sebagai bahan pendingin (Industrial Coolant). Alat ini secra rutin digunakan untuk pengujian Glycol sebagai bahan pendingin (Coolant). Mengingat kebutuhan tersebut, maka kami menyediakan Hand Refractometer Glycol, coolant refractometer, battery refractometer, Refraktometer Polyethylene Glycol (Refraktometer Alat Laboratorium Industri). RHA-503ATC models are equipped with °C unit system. With the indication of the percentage we may know the freezing point of either ethylene glycol or propylene glycol-based cooling systems. And they can also be used to test the concentration of ethylene glycol or propylene glycol in antifreeze liquids. There’s also an additional scale for measuring the freezing point of windshield cleaning fluid. It’s FULLY EQUIPPED with ATC that automatically adjust itself to correct temperature discrepancies during use. 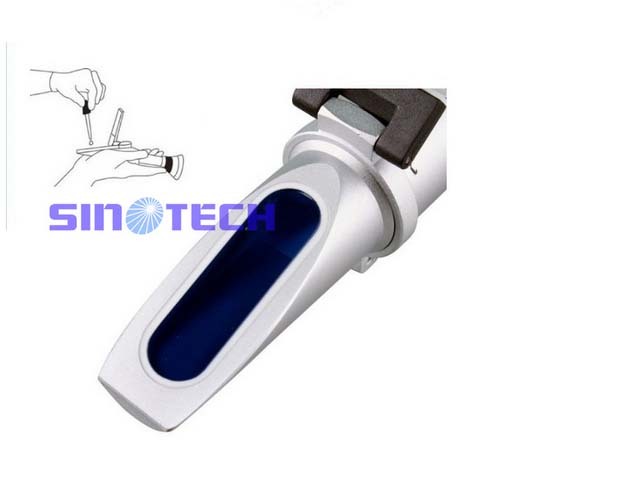 Refractive index is very temperature dependent, it is important to use a refractometer with automatic temperature compensation to give you the most accurate measurement in any type of environment temperature. Capable of measuring with high accuracy and provides precise results. It’s equipped with vivid and sharp reticle chart for easy and comfortable reading. 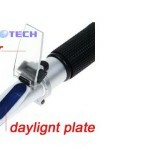 It uses ambient light only and no batteries are needed. Made by experienced craftsmen and are unlikely to break down! Get the RHA-503ATC and be able to measure four main types of Antifreeze/Battery/Cleaning Fluids!